This lovely little loop is based on several trails around the village of Edsleskog, which is west of the town of Åmål. 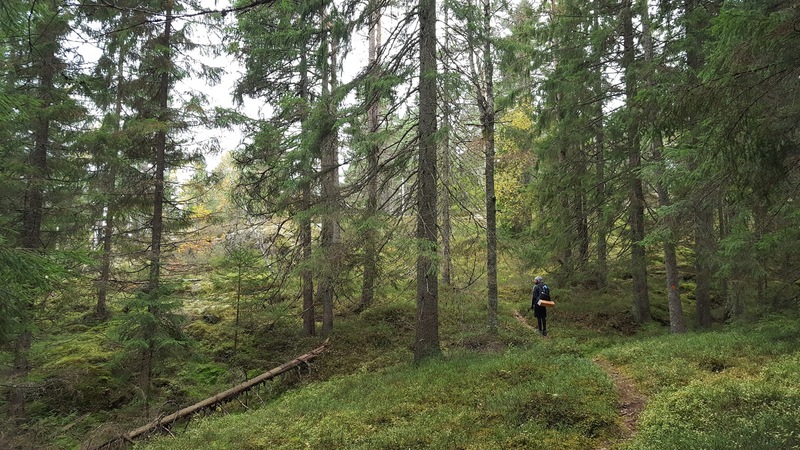 It's a shorter loop, starting in and then returning to Edsleskog being a total of only 20-30km, depending on how you hike it. 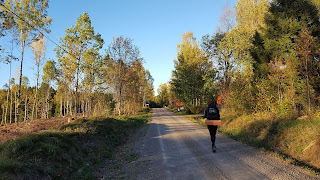 There is a small network of trails that cover much of the nature reserve, along with a few gravel roads, though there is not much road walking overall--and better yet, very little asphalt involved. 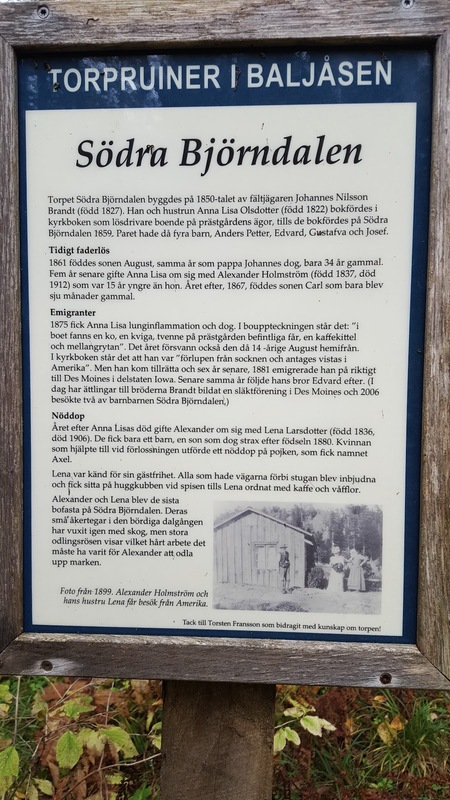 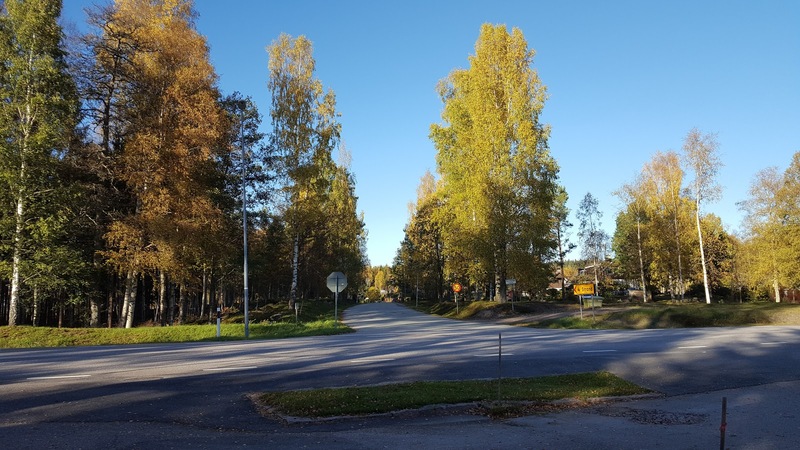 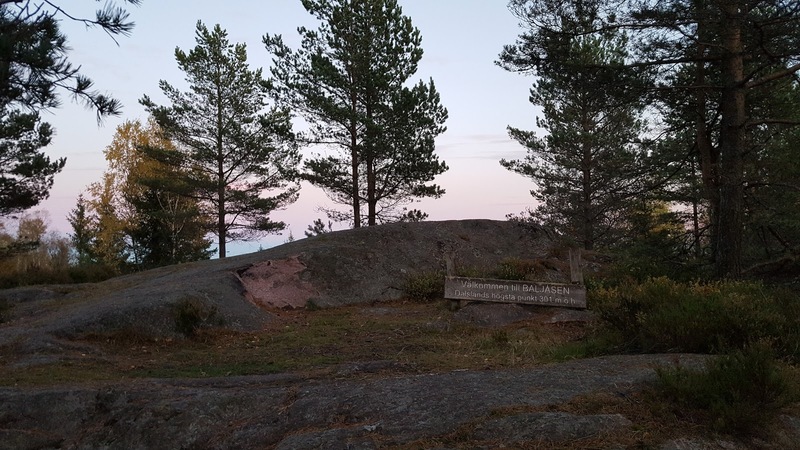 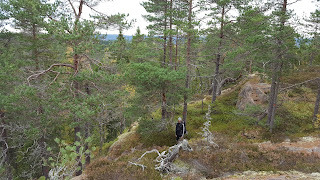 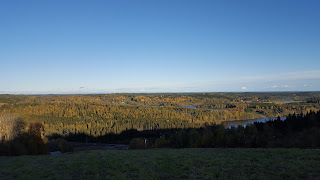 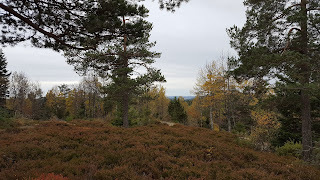 You can get to the village by bus from Åmål, or you can hike there on a trail that connects the two places. 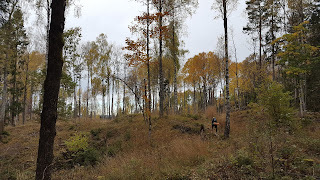 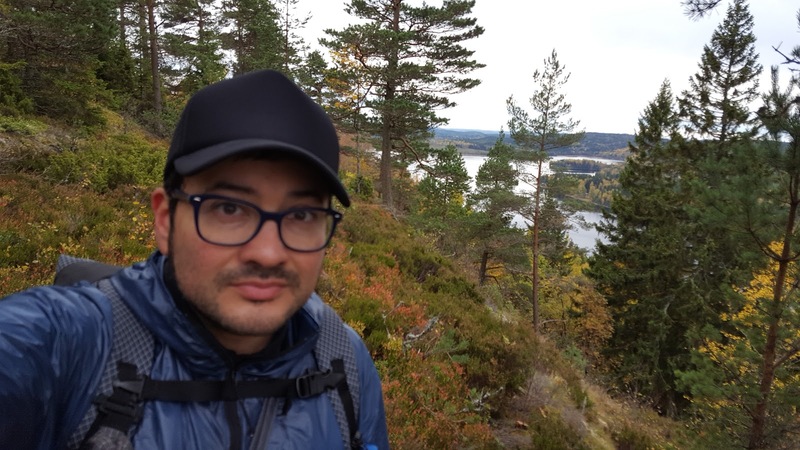 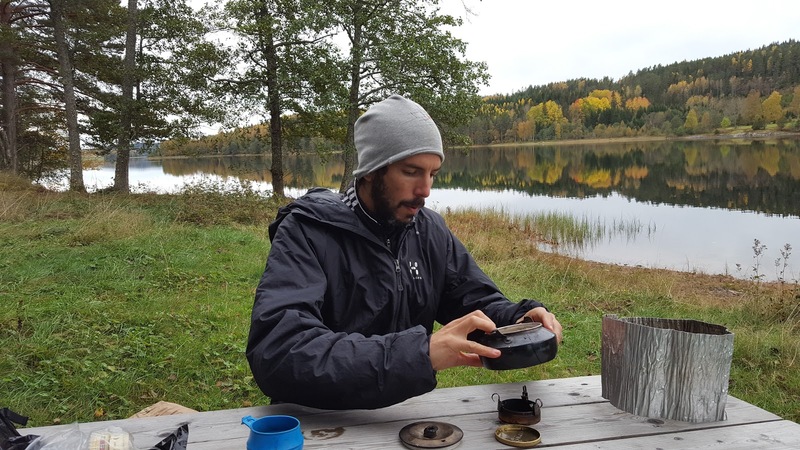 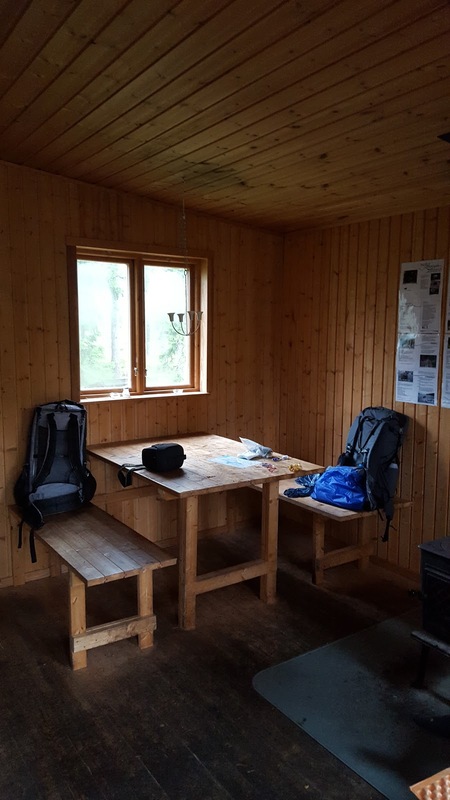 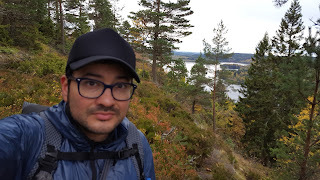 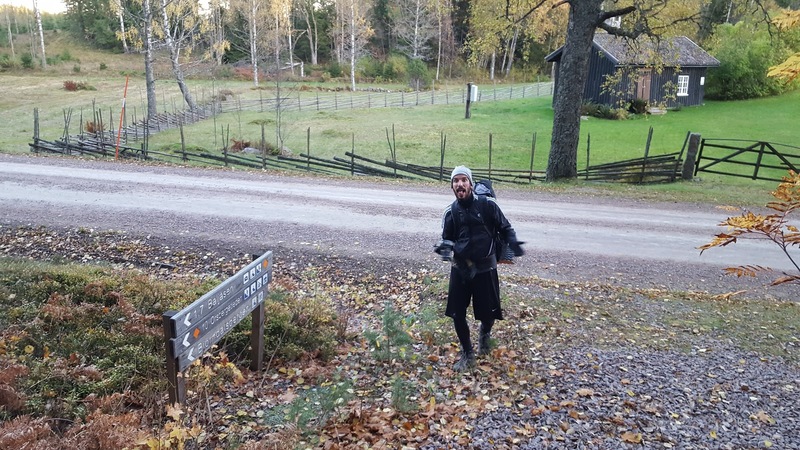 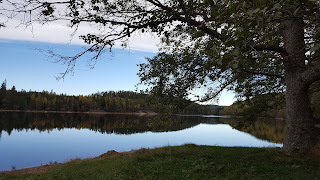 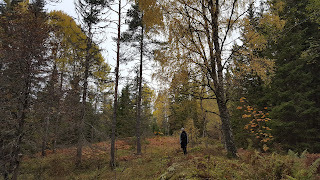 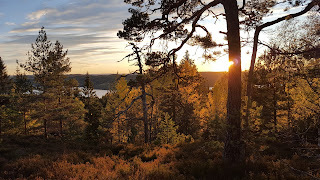 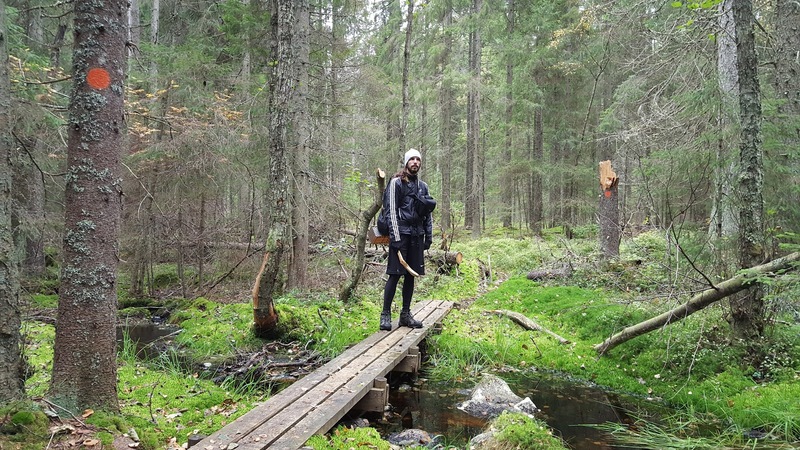 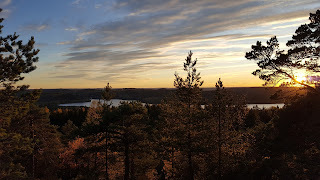 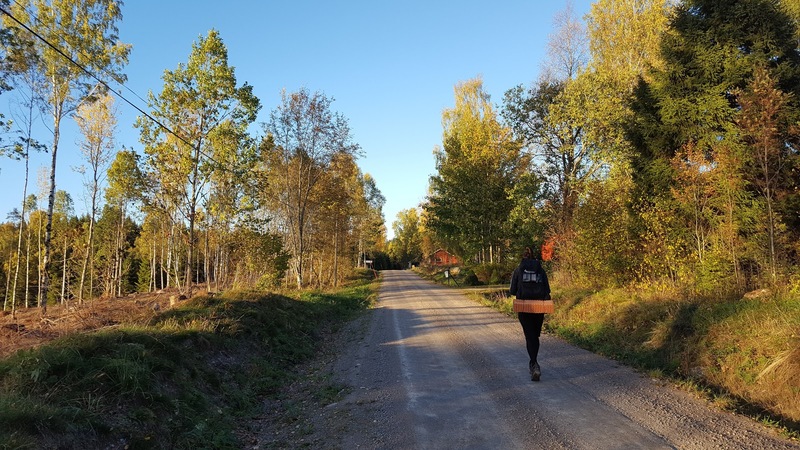 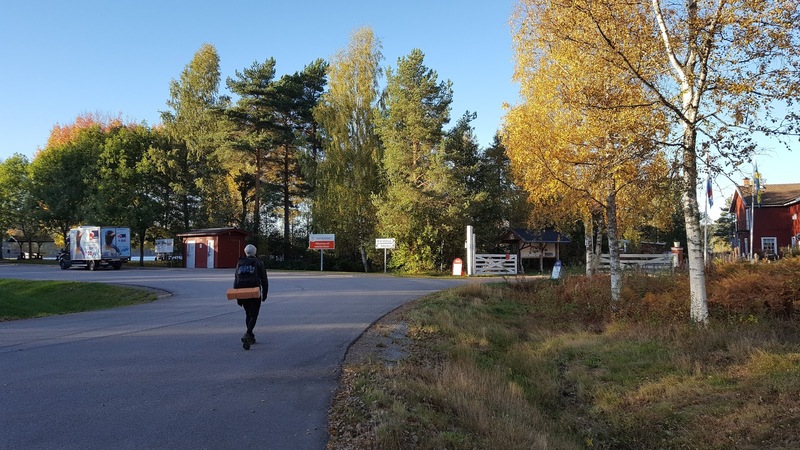 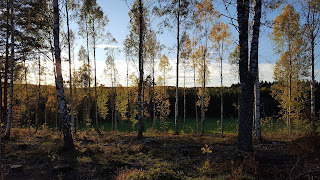 I wrote about hiking from Åmål to Edsleskog and then heading south on Pilgrimsleden Dalsland in another trail guide, which you can read here. 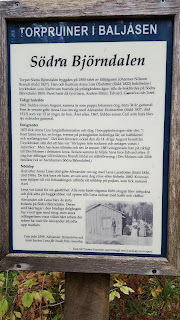 Here is a good PDF map of the area along with some info (in Swedish). 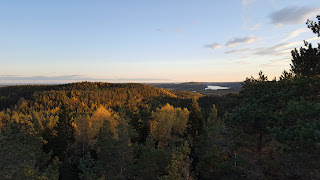 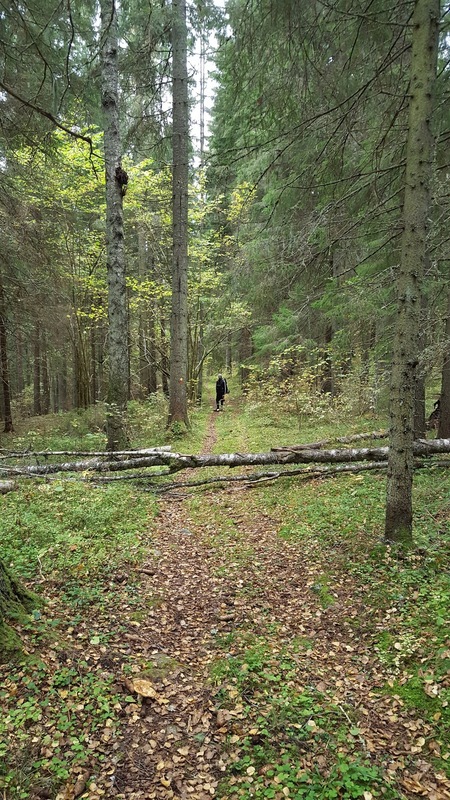 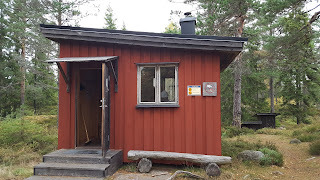 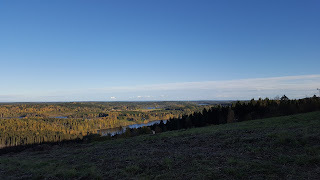 If you are hiking on Pilgrimsleden Dalsland/Varmland--for example, following my Alternative Swedish E1 Route--you can connect with this loop at various points. 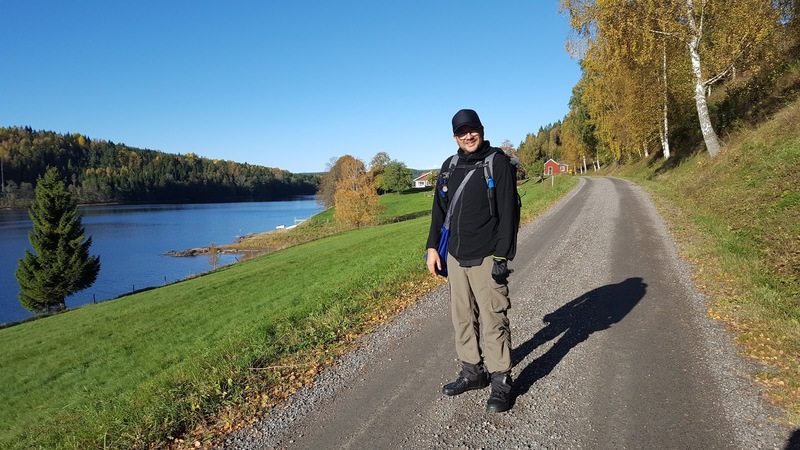 Going northbound, you'll hike right to Edsleskog, and can follow the loop to the northeast (through the village) or northwest (by the lake). 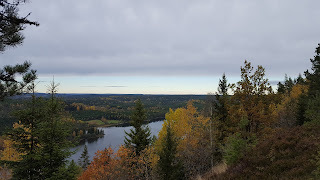 If you have the time/energy to spare, I suggest hiking the entire loop and as a side trail, and then simply continue north on Pilgrimsleden afterwards. But if you don't have as much time/energy, yet want a nice alternative to the road hiking that makes up most of the end of Pilgrimsleden Dalsland as it passes into Varmland, you can do half of this loop and meet up with Pilgrimsleden Varmland later on in the north. Why pass up the chance to explore a beautiful little nature reserve? 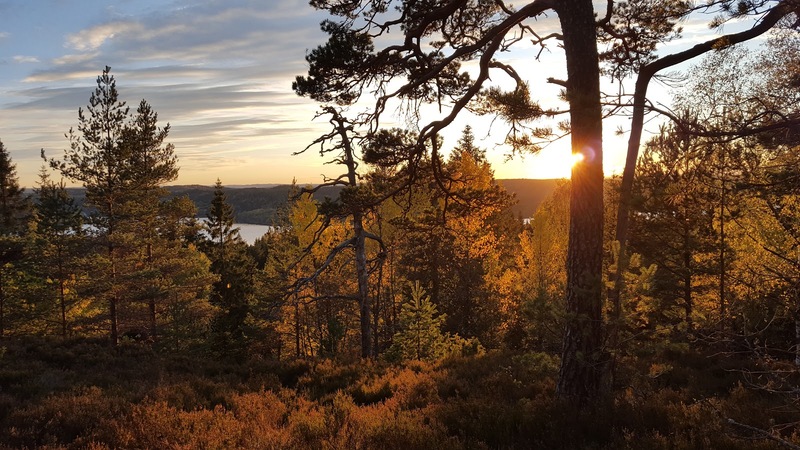 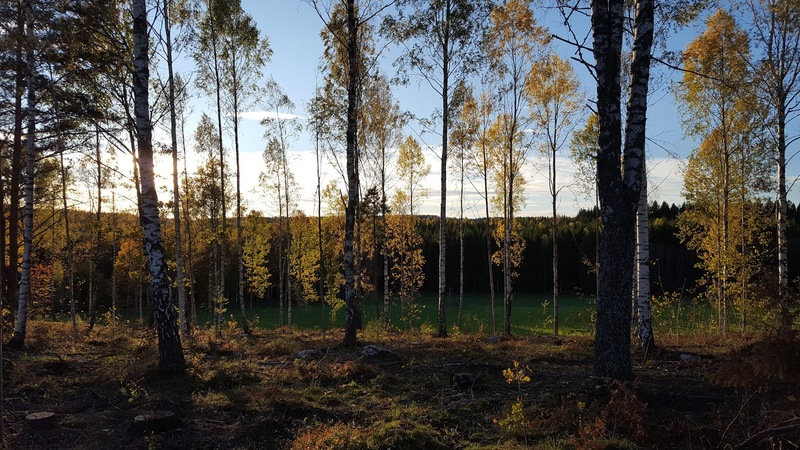 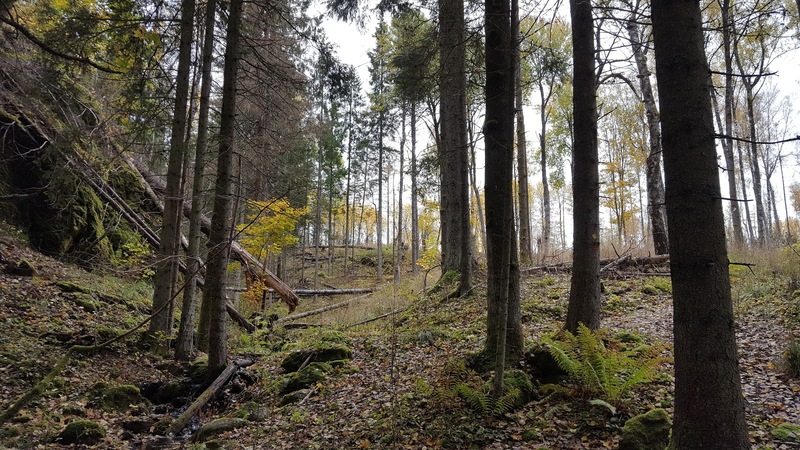 Just hike northeast through Edsleskog and enter the Baljåsen nature reserve at the first or second trail into the reserve. There are signs and the trails are generally well marked, so it's hard to miss. 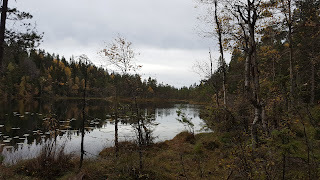 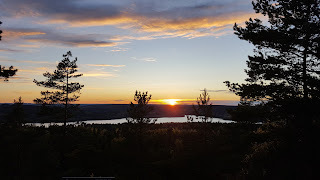 Then just hike north to the tip of lake Edslan, continue hiking north into Varmland, then it's a quick 6km hike east on roads back to Pilgrimsleden. 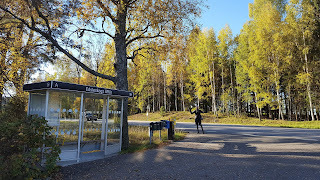 Going southbound, there are two easy ways you can find the loop. 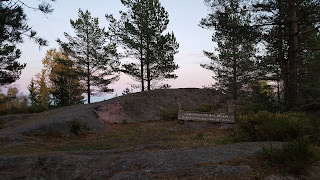 One way is by hiking off Pilgrimsleden Varmland (around the big lake Ömmlen) west then south on roads to the northern tip of the big lake Edslan. 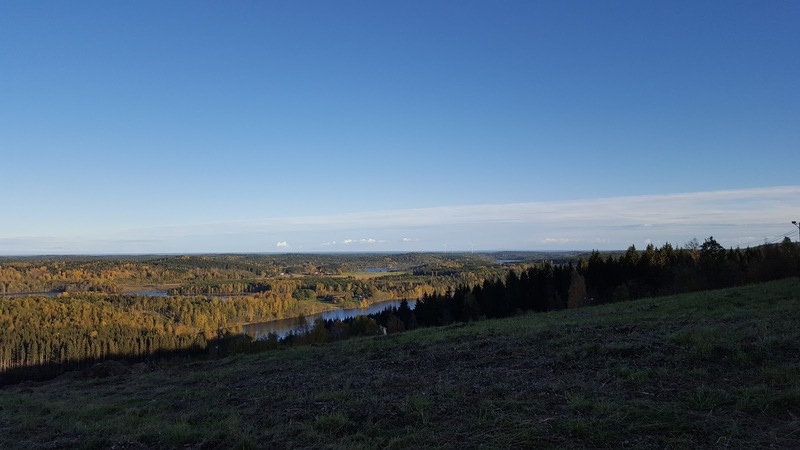 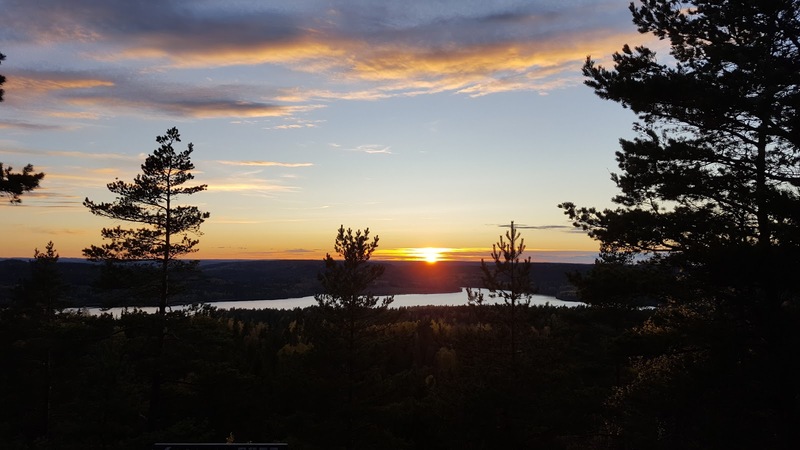 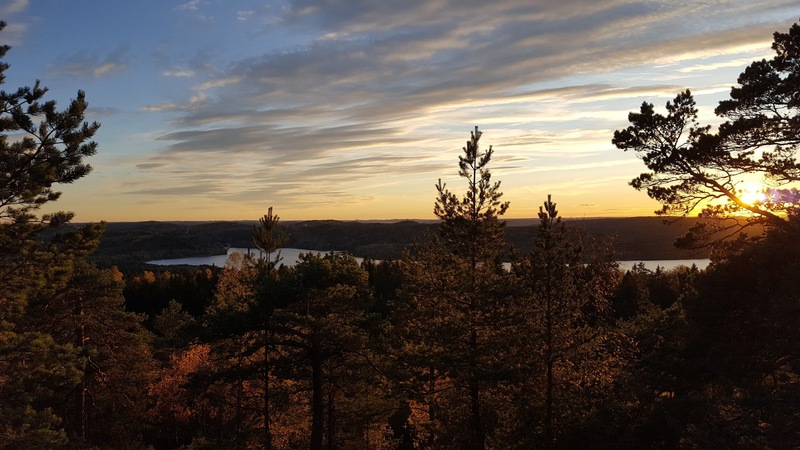 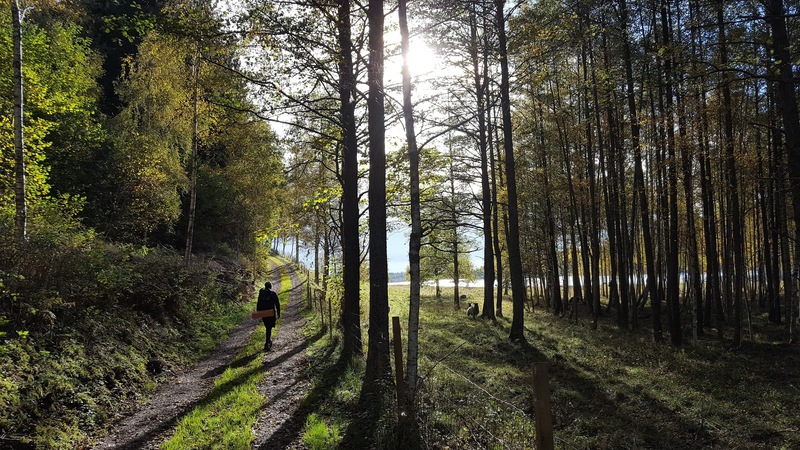 Or you can follow Pilgrimsleden over the border into Dalsland, where the trail will pass right by Baljåsen nature reserve, and you can just follow the first trail into the reserve. 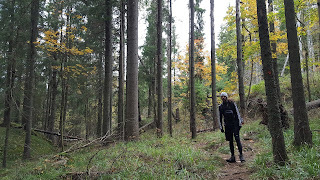 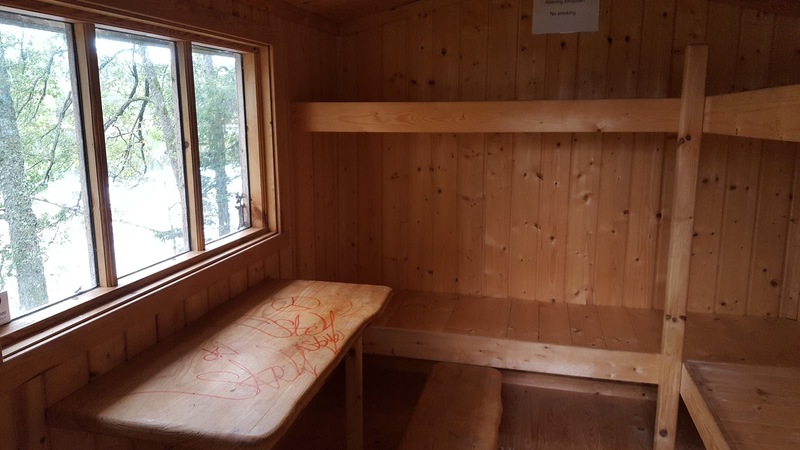 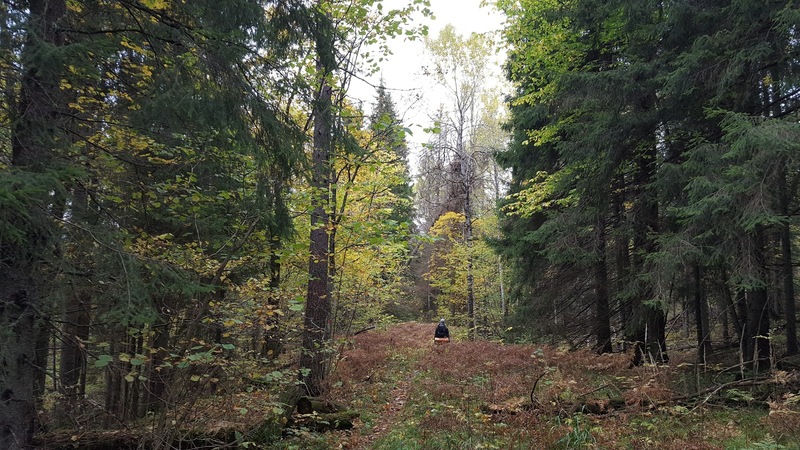 There were at least five trail shelters in this area at the time of this trip report (October 2017). One was a teepee style, enclosed shelter (with a nice indoor firepit!) 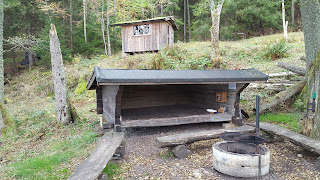 on Pilgrimsleden Dalsland about 3km south of Edsleskog--this shelter is currently not marked on any maps that I am aware of--two were cabins (one with a good wood stove), and there were two lean-to shelters. There were plenty of excellent sources of water, from lakes to springs to streams. 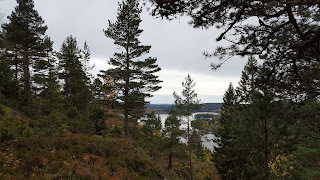 And for such a small nature reserve, the trails that went up and down and over the hills here offered many gorgeous views. I definitely plan on returning to this loop again. 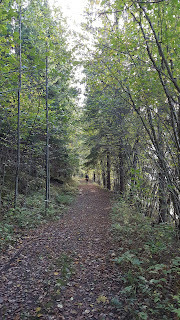 It was a great place for a weekend trip, but it would also make for a great side trail on a longer hike. 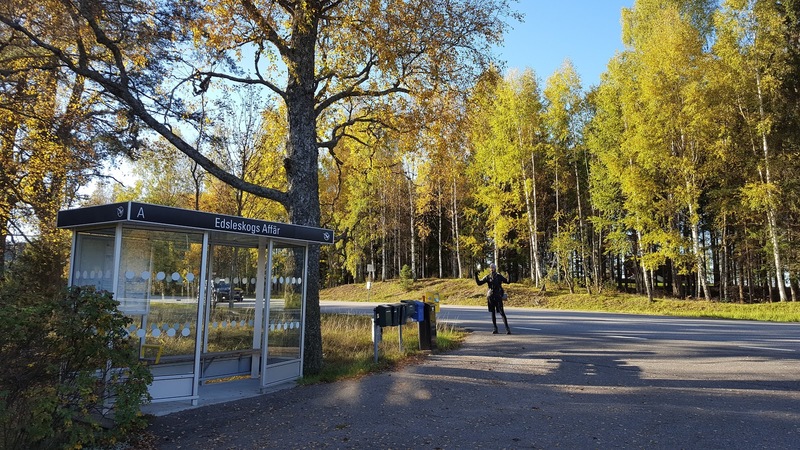 Having already hiked to Edsleskog from Åmål, my friend Tomas and I opted to take a bus to the village, and in less than a minute after getting off the bus we were once again on Pilgrimsleden. 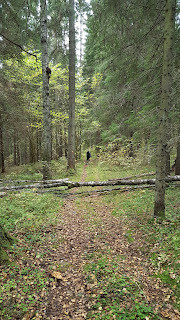 We would not be on this trail for long. 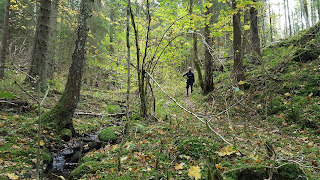 Only a few kilometers away to the north on the gravel road were two different trails that allowed us to enter Baljåsen nature reserve. 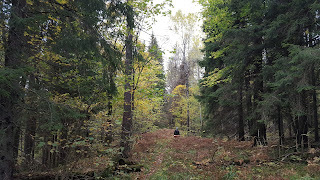 We decided on the second trail to check out the views and also to get to the cabin on top of the hill to stay the night. 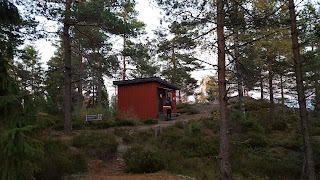 This hill is the highest point in Dalsland, and the cabin was among the nicer ones I've stayed at. 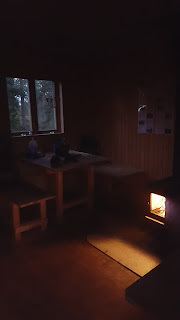 The wood stove worked well, the cabin was well thought out and built (if not small), and could fit three hikers comfortably (there are three bunk beds) and perhaps five if you really squeeze in there. There was an outhouse and a wood shed near the cabin. 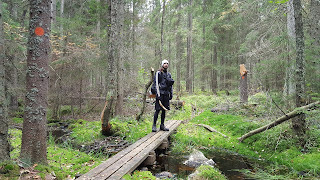 One small drawback was that there was no close water source, though just up the trail going north a few kilometers were a few springs and streams. 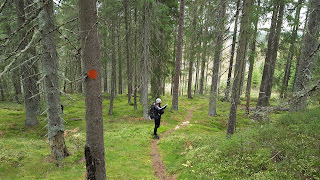 There were three trails that converged at the cabin, all marked well on the map linked above, and also in reality. 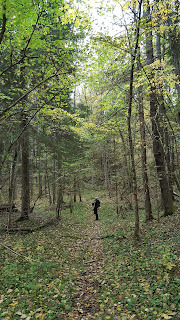 We took the northwest trail, which was a winding path that bent south then back north after intersecting with another trail. 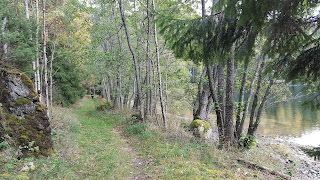 Inside the reserve there were also several ruins of past settlements and stone houses scattered along the trails. 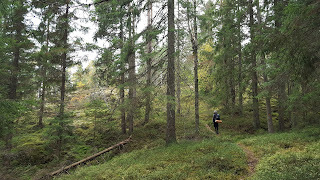 The trails themselves made for wonderful hiking, and I was pleasantly surprised by the amount of variety of landscape there was packed into such a small reserve. 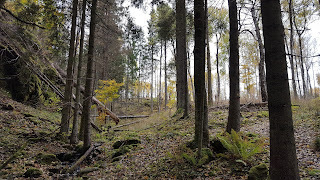 There was dark and spooky troll woods, open hard woods, mixed woods, a pond, hills and valleys, and natural and old man-made clearings. 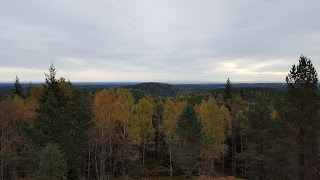 And views, more good views. 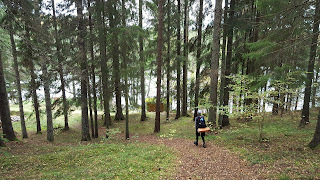 After trekking through the heart of the nature reserve heading north by northwest, the trail took a sharp turn west down to the shore of the lake. 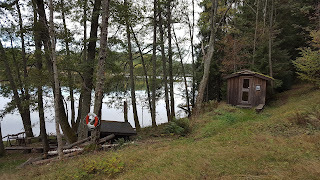 At the shore there was a campground complete with a few park benches, a small and quite old looking lean-to shelter, an outdoor firepit, an outhouse, and a cute little cabin. 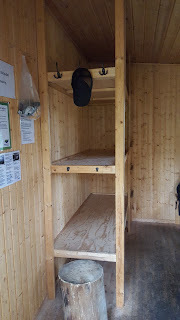 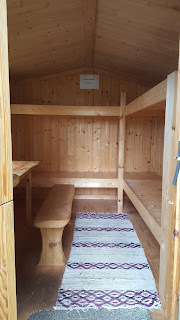 The cabin had four bunk beds, but not much else inside. 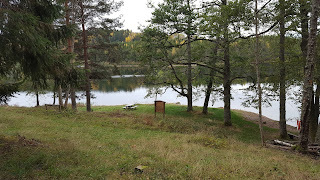 Past this campsite the trail (marked in yellow) continued north to exit the reserve, and soon after would take one to another big lake, Ömmeln. 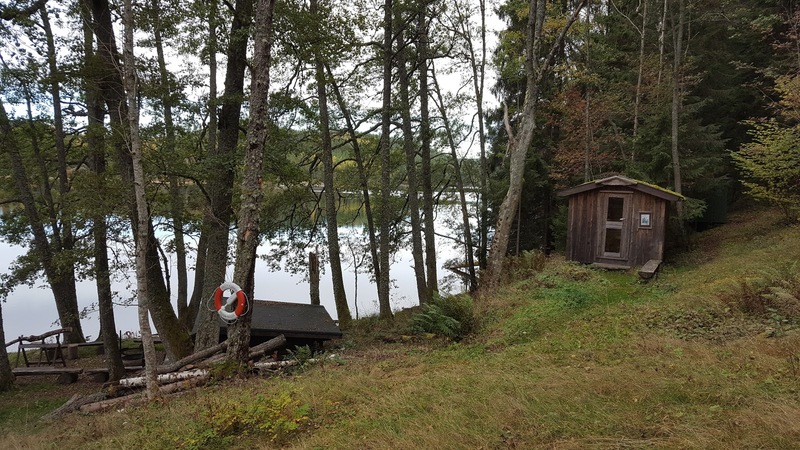 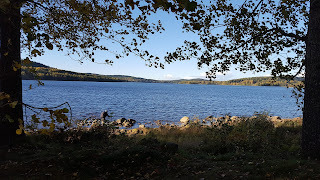 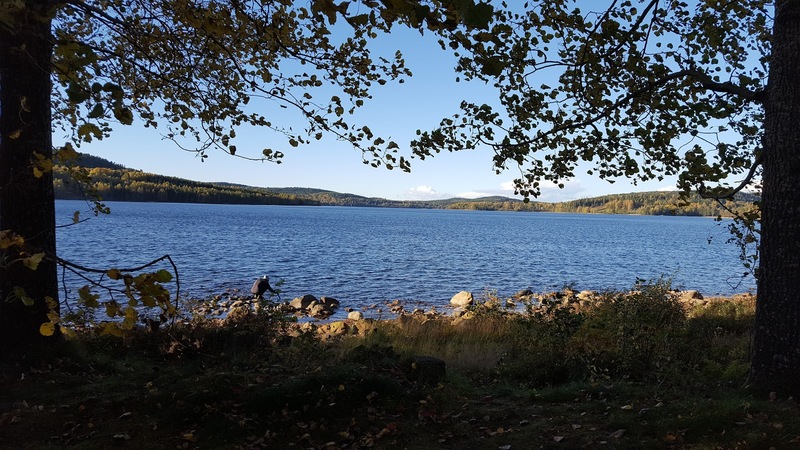 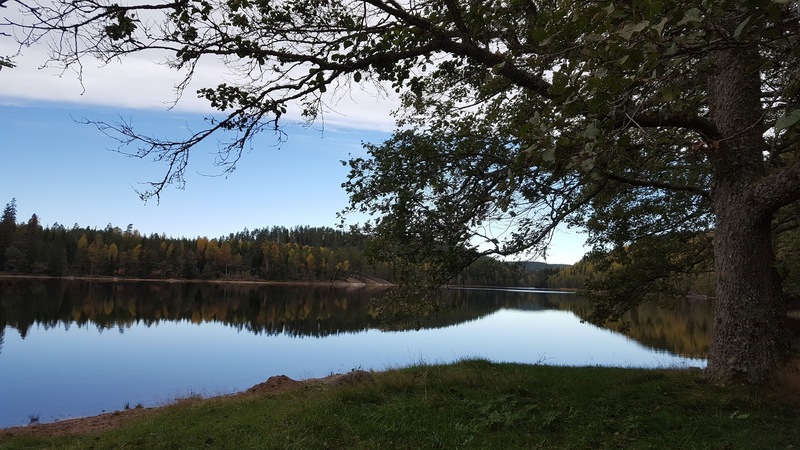 This lake is right on the border of the traditional province of Dalsland (which is a part of the country of Västra Götaland) and the county of Värmland. 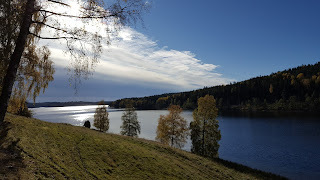 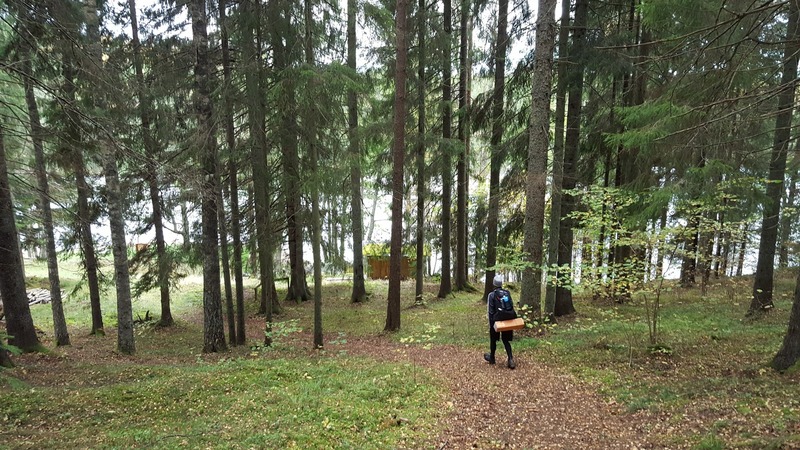 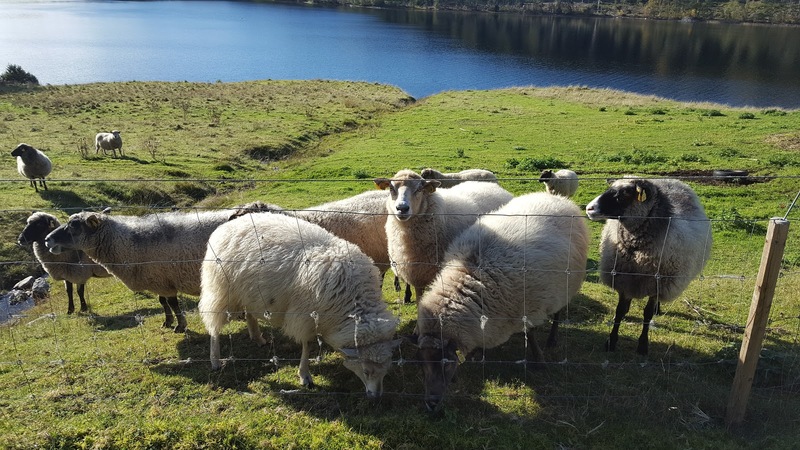 However, if you are doing a loop back to Edsleskog, then you would follow the grassy trail that hugs the eastern shores of the lake back towards the village. 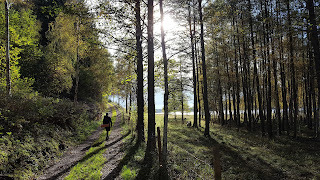 The walk back to the village was very pleasant and easy on our feet for much of the way south. 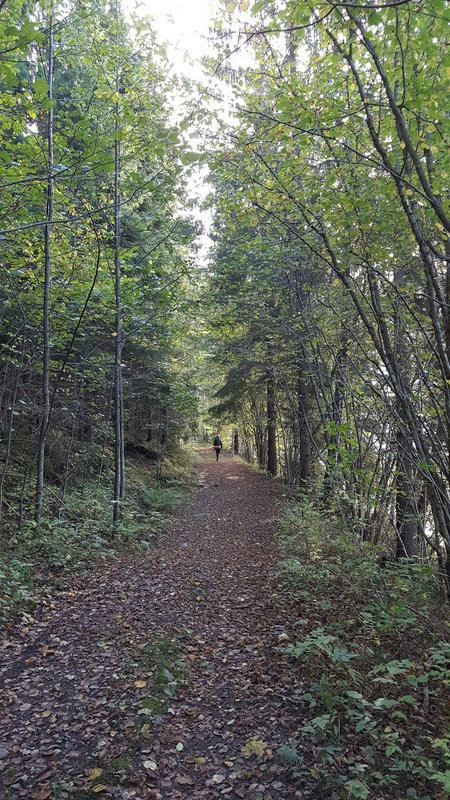 Eventually the trail ended at a dirt road, which then turned into an asphalt road closer to civilization again. Along the way were some final nice views of the lake and the hills on the other side, plus some friendly sheep on one of the farms we passed. 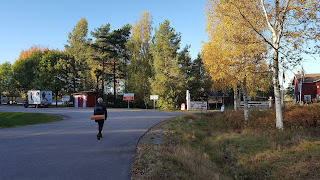 Back in Edsleskog, we noticed a small hotel, and next to that a rest stop with pubic bathrooms. 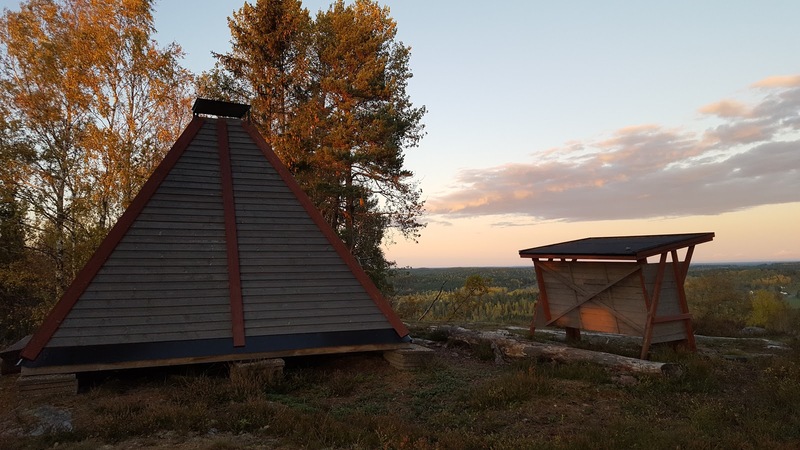 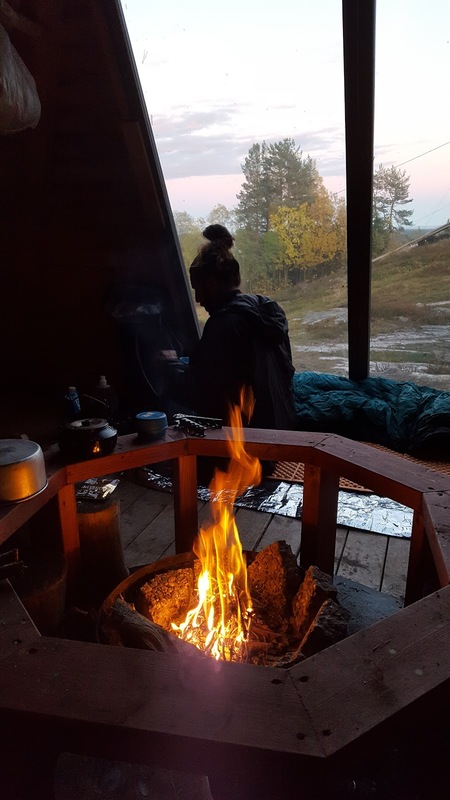 We spent the night back in the teepee south of the village we slept at last spring, then the next morning caught the bus back to Åmål again, both very contented with this short but sweet trip.